No more helmets all over your dugout! 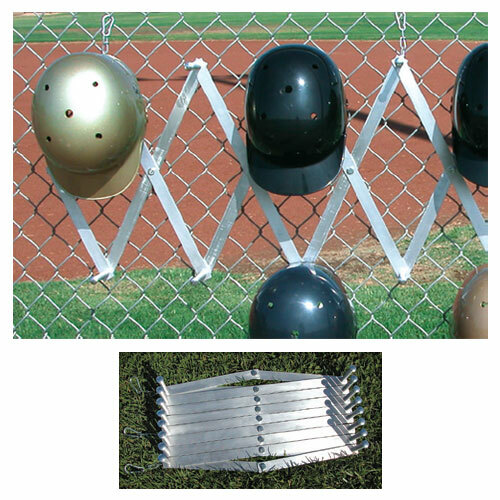 Lightweight aluminum construction helmet rack clips on your dugout fence to hold 16 batting helmets. When not in use, it scissor folds to fit neatly into your bag. Wt 4 lbs.